Get the Prospectus: PHOTOgrapy 2018 prospectus here. 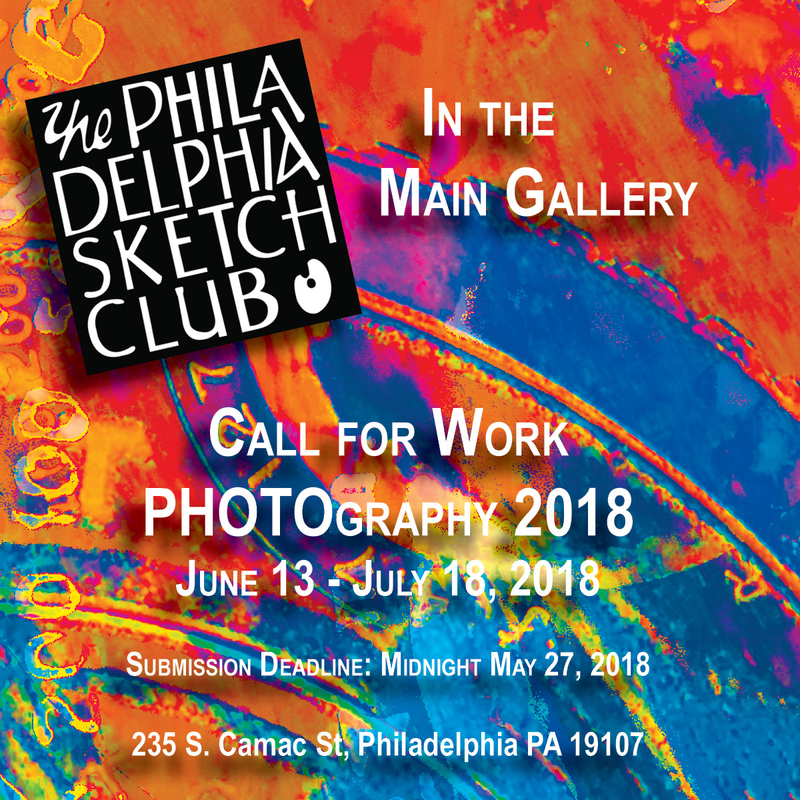 The Philadelphia Sketch Club’s juried PHOTOgraphy Exhibition is an annual event produced by the club. For more than two decades, this popular exhibition kicks-off the summer season at the club. This year, it is scheduled for June 13 through July 18, 2018. 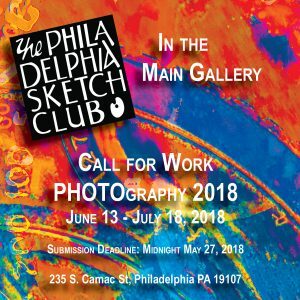 PHOTOgraphy 2018 is open to all traditional, alternative and digital processes, offering maximum creative freedom to Metro-Philadelphia photographers. The club is located at 235 South Camac St., Philadelphia, PA 19107. Gallery hours are Wednesdays and Fridays through Sundays, from 1 to 5 pm. For more information, please call 215-545-9298, or access www.sketchclub.org.